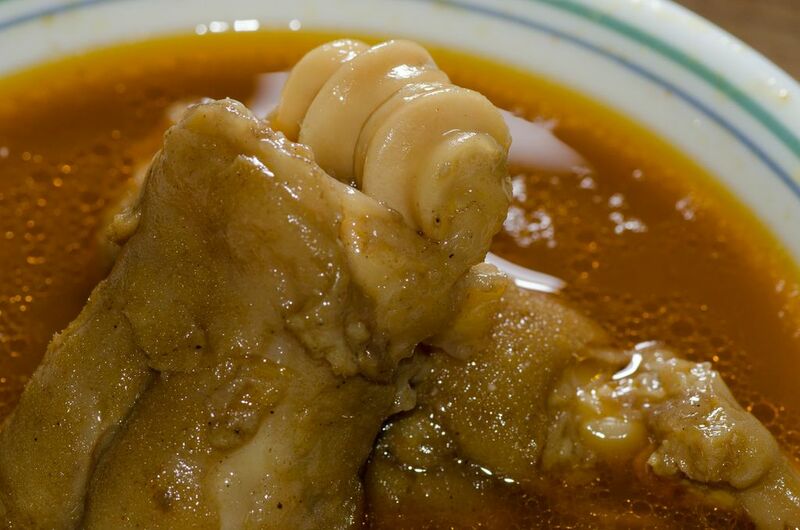 Paya soup is the tastiest and healthiest of all soups. Mom used to prepare this often when we were kids. This is very good for growing children and new mothers. My Granny says paya soup was prepared traditionally on charcoal overnight and tastes the best. Wash the paya thoroughly by soaking them in luke warm water with a little salt for sometime. Heat 1 tsp oil in a pressure cooker and fry the onions, ginger garlic paste, tomato and chilies for 2 minutes. Then add the paya and fry for some more time till the raw smell goes. Add all the powders and coriander leaves. Fry for 2 minutes. Add the water. Allow it to boil and pressure for about 1 hour on low heat. Remove from fire. Serve in a bowl with some more pepper powder if desired. Add coconut paste if you want the soup to be a little thicker to be served with rotis.